There are many factors which play a role in determining the lifespan and functionality of your computer. Most of which can be attributed to the environment where your computer tower is located. 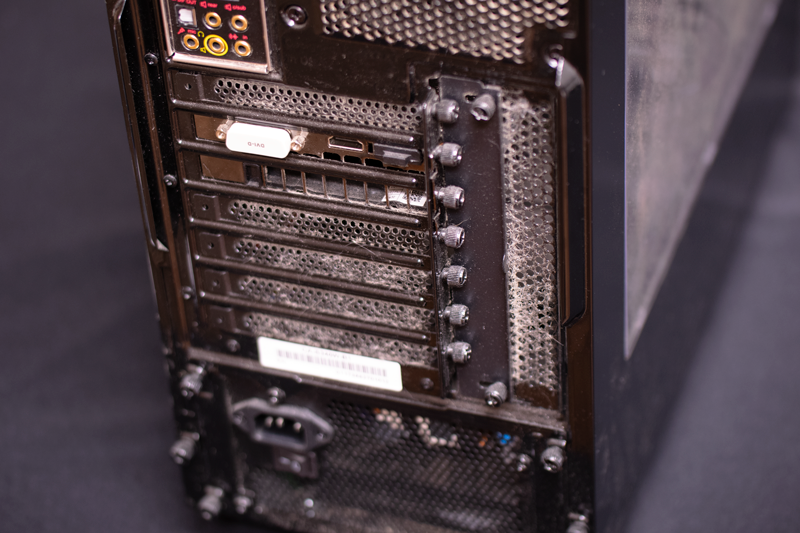 If your workplace is messy, for instance, your computer tower will likely need to be cleaned more frequently. This is due to common external factors such as dust, smoke, pet hair, etc. It is suggested that you should clean out your computer tower once every 3 - 6 months, varying on where your computer is located. Regardless, everyone should take proper care of their computer tower with a good cleaning. The tools you want to have handy are: a screwdriver, a can of compressed air, cotton swabs, q-tips, a microfiber cloth, and rubbing alcohol. Here is a step by step guide on how to clean out your computer tower. Before you begin the process of cleaning out your computer, make sure to remove all cables, power cords, and peripherals (mouse, keyboard, etc.). Let the computer sit for 10 - 15 minutes to allow any left over electricity to escape. This will decrease the likelihood of a static discharge. Move your PC to an area with more airflow, preferably outside. This allows you to not worry about the dust particles getting everywhere in your office or settling back on top of your PC. 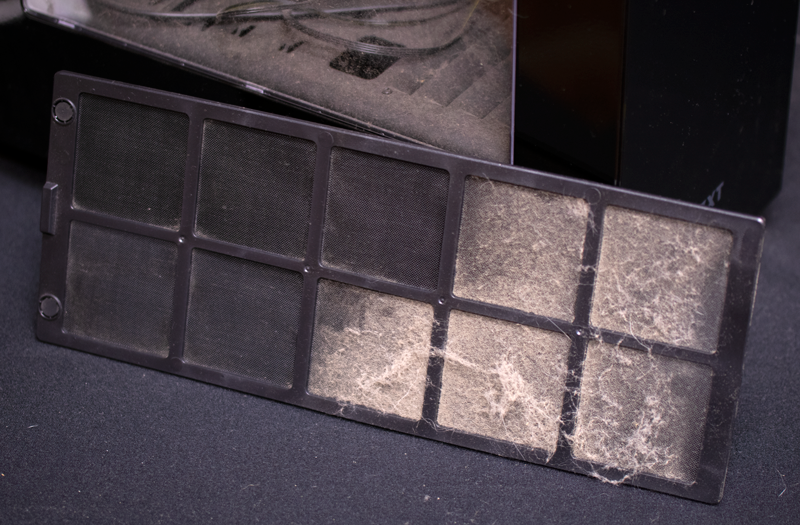 Breathing in dust can cause harm to your body, so before beginning make sure to relocate your PC outside or in the garage where there is more airflow. First, remove any filter(s) on the outside of your PC. 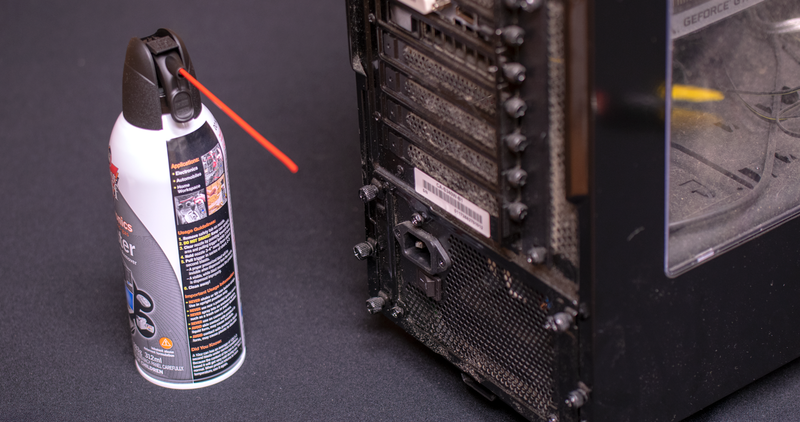 Give the whole computer tower a nice wipe down with a damp cloth (not too wet) coated in Isopropyl rubbing alcohol. Then remove any accumulated dust/pet hair by hand or give it a quick blast of compressed air. For foam filters, run it under the sink. Open the computer tower according to the manufacturer’s directions. If the owner’s manual simply vanished, look your model number up online. You want to ensure your are opening the correct side of the computer tower to start cleaning. The process of opening the tower usually involves removing a few screws or pressing the locked button mechanism. Use tweezers to remove any visually large clumps of debris. Next, pairing compressed air and a vacuum with a hose attachment can be extremely effective. Hold the bottle of compressed air 4 - 5 inches from your CPU and blow off each individual component. Angle the nozzle of the compressed air to blow dust outside of the case while also carefully vacuuming any loose dust and debris. However, do not use your vacuum inside of your computer as it generates static electricity that can damage your computer. Make sure to avoid blowing dust back into the interior of the CPU. After removing the majority of the dust and debris, time for the final wipe down. Grab your cloth and get it damp (not wet) with the rubbing alcohol. Wipe all corners and try to get into the deep cracks. To get a closer clean on the components, utilize a moist Q-tip to get in between small nooks and crannies. Once the inside is clean, do one last inspection and place the internal components back in place. Make sure all components are dry. This is the time to inspect if any components are damaged. If your wires are old, check to see if it is time to replace them. If all looks good, place the side panel back on the computer tower and screw it back up. Place all the outside filters back in and plug the cords into the back of the computer tower. All that's left is to run a test. The process should only take about an hour. 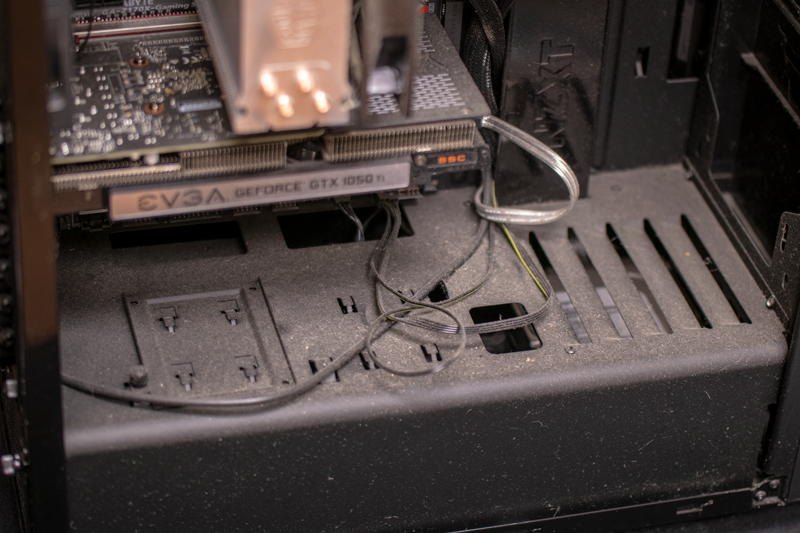 It is important to frequently clean your computer tower to ensure that it is running at peak performance levels. 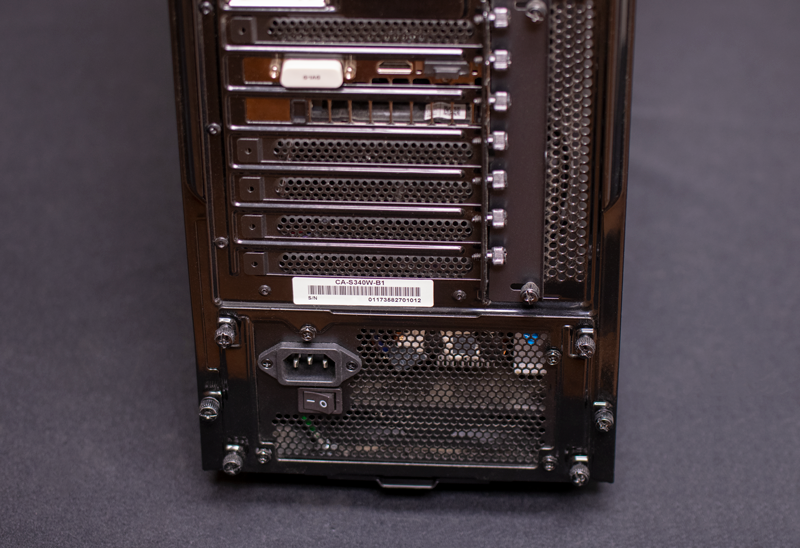 If your computer is having issues with processing power or overheating, a good cleaning will improve airflow and your tower will run much more efficiently. It is suggested that if your computer tower is on the floor, you should clean it once every 3 months. If it is on top of your desk, you could get away with a cleaning once every 6 months. Whereas if you mount your computer under your desk or on the wall, you can allot a bit more time (11 months) in between cleanings. 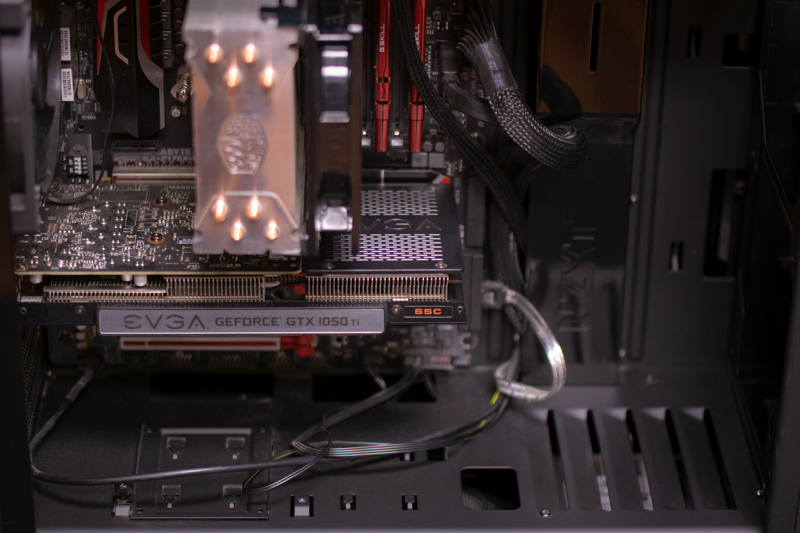 At Oeveo, we provide affordable, American made PC mounts for all models and applications. Check out our product offerings and see how we can help optimize your workspace.